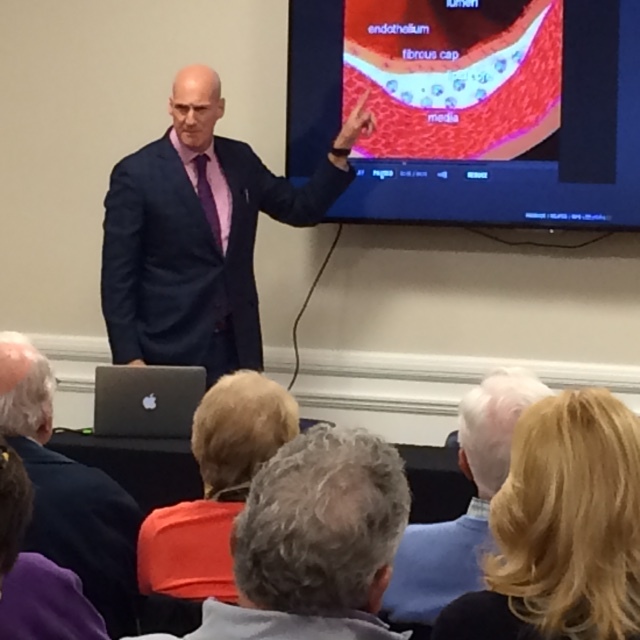 On February 9, 2016, Dr. Fenster presented Palm Beach Heartstrong to the residents of Ibis Country Club. Palm Beach Heartstrong is Dr. Fenster’s new program in Palm Beach Gardens and Jupiter, offering customized, discounted personal training at several local country clubs and fitness centers to his cardiac patients as well as free nutrition counseling in his office for qualified patients. Ibis was one of Dr. Fenster’s first partners in Palm Beach Heartstrong, and asked Dr. Fenster to speak to its residents about his program of getting started on a lifetime of moderation and good choices. 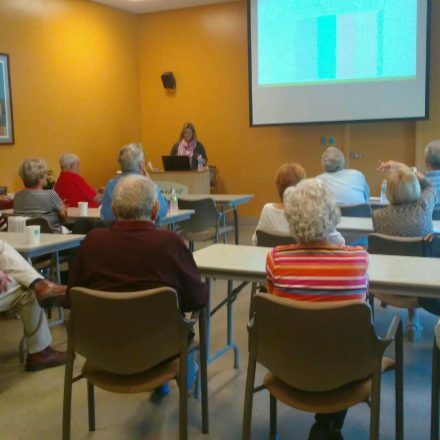 After presenting information on the heart, healthy nutrition, and the basics of fitness for those over 65, Dr. Fenster spent some time answering questions from the audience. He discussed the nature of heart disease – what causes heart attacks, plaque, hardening of the arteries and other forms of heart disease; and standard treatments and diagnostic modalities such as echocardiogram, stress testing, EKG, angioplasty, and cardiac catheterization. But what he always stresses are the ways to combat heart disease without medication, including nutrition and physical fitness in moderation. What’s most exciting to Dr. Fenster about Palm Beach Heartstrong is the community aspect – teaching established adults how to restart their thinking about healthy living habits and choices and then bringing the same message to young children at the Max M. Fisher Boys & Girls Club in Riviera Beach, FL. This coming March, Dr. Fenster will bring the Palm Beach Heartstrong program to 6-8 year-olds at “The Max” to hopefully get them started on a lifetime of good choices and good health. Along with his staff nutritionist, Dr. Fenster will teach these young Title One children all about healthy eating and easy, everyday fitness. For every pound lost by his patients at the Cardiac Institute of the Palm Beaches, Dr. Fenster is donating $1 to the The Max. So far, he has donated over $1500 with hopes of continuing to benefit The Max for many years to come.